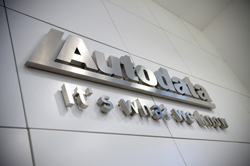 Autodata has snared another prolific software counterfeiter in south of England with the help of Trading Standards. The suspect who was arrested for piracy and distribution of illegal software, was apprehended in a combined operation between Autodata, Southampton Police and Slough, Monmouthshire and Southampton Trading Standards. After several months of intense investigations the counterfeiter was seized at a hire car depot, returning a vehicle used to travel the UK selling the pirated software.